Declaration of interest: I’m not exactly unbiased, since this collection includes my own essay: ‘Against Prussianism’: Bennett and the Great War’. 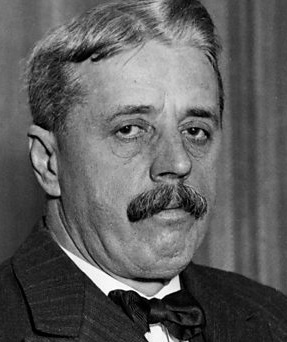 Arnold Bennett is a great novelist who remains seriously under-celebrated. Even to many students of English Literature he is known only as Virginia Woolf’s whipping boy. Cultivated readers who can talk sensibly The Great Gatsby or Parade’s End may look rather blank when you mention Riceyman Steps. Over the last decade or so, John Shapcott has been fighting Bennett’s corner, and doing a splendid job of reprinting Bennett’s novels and stories with his own perceptive introductions. Now he has edited a collection of essays that take a twenty-first century look at many facets of Bennett’s work. The concept of realism goes to the heart of any assessment, and indeed reassessment, of the long and varied artistic career of Arnold Bennett. Amigomi goes on to explain that for Bennett, realism was not just a matter of describing the material world, but is a matter of a ‘pact between an author, selected tools or conventions of representational discourse, and the reader’. 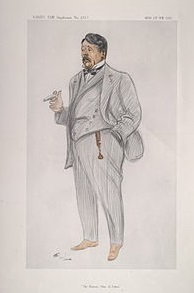 Bennett’s debt to the French realists is also a major theme of Alan Pedley’s interesting essay on ‘Bennett’s French Connections’, which tells us, among many other things, of Bennett’s surprise, when re-reading Maupassant’s Bel-Ami, of how much of it he had unconsciously imitated in The Man from the North. From a different angle, the question of realism is examined again in Randi Saloman’s reassessment of Virginia Woolf’s ‘Mr Bennett and Mrs Brown’, the essay that has convinced too many lazy academics that Bennett must be inferior to the Modernists. Randi Saloman looks at the context of Woolf’s essay, and shows that the question is more complex than is often thought. Except Elsie, the adult inhabitants of the house were always unhappy save when drinking alcohol or making love. [….] They permitted trifles to annoy them. On the previous day the wife of the meat-salesman had been upset because her “copper” leaked, and because she could never for a moment be free of her own children, and because it was rather difficult to turn her perambulator through the kitchen doorway into an entrance-hall three feet wide, and because she had to take all three children with her to market, and because the eldest child, cleanly clad, had fallen into a puddle and done as much damage to her clothes as would take a whole day to put right, and because another child, teething, would persistently cry, and because the landlord of the house was too poor to do necessary repairs, and because she could not buy a shilling’s worth of goods with sixpence, and because her payments to the Provident Club were in arrear, and because the sunshine made her hat look shabby, and for many other equally inadequate reasons. That hallway too small to turn a perambulator – that’s the kind of detail Bennett noticed and saw the implications of. Did the feminist Mrs Woolf notice things like that? Bennett’s visual sense is also examined in Catherine Goodwin’s essay on ‘Bennett and Art’. He was a collector and perceptive critic, spotting the excellence of Manet at a time when Wilfred Blunt was condemning impressionist painting as ‘on the level of an untaught child of seven or eight years old.’ More than that, he was himself a skilled water-colour painter, and one of the pleasures of this Companion is its inclusion of several impressive examples of his work. Two essays, on Bennett’s Burslem and Bennett’s London, show how his fiction was firmly set in the actuality of places. Next time I have a spare day in London, I shall have Nicholas Redman’s essay to hand, and look out some of the places mentioned in the novels. A while ago I followed Henry Earlforward and Mrs Arb on their walk around Clerkenwell. This essay will help me to trace the Chelsea of The Roll Call or the West End of The Pretty Lady. And when I visit Burslem again, I shall use Fred Hughes’s chapter to remind me of Bennett sites in his home town – though following the book probably won’t be quite as satisfying, I suspect, as that memorable evening when John Shapcott took a group of us (in Stoke for a conference) for a guided tour of Bennett locations, factual and fictional. Chitose Ikawa deals with ‘Bennett and the Philosophy of Self-Help’, examining the advice given in books like How to Live on Twenty-Four Hours a Day, and identifying the essence of Bennett’s philosophy as a ‘trust in the ordinary people who “despite all the drawbacks,despite all the endless disappointments, decide that life is worth living”.’ Maybe the essay could have said more about how this philosophy relates to the novels – for instance The Card, whose hero exemplifies it so splendidly. An interesting essay on Bennett and Methodism links him to the nineteenth-century traditions that he needed to escape, but, as Leslie Powner shows, never quite lost touch with. Kurt Koenigsburger discusses his books and manuscripts as objects, while Sharon Crozier-de Rosa considers his presentation of women. The book concludes with an essay by John Shapcott on Bennett in the archives, which communicates very well the pleasure of hunting in the dustier vaults of libraries and museums, and the joy of coming up with treasures. He includes in his essay, as a bonus for readers, ‘Faust and Marguerite’, a previously utterly forgotten Bennett story from 1894. As sharply as anything else I’ve read from the period, this depicts the double standard of sexual morality, and the terrible punishment inflicted on a girl who is led astray. The only quibble I have with this book is that – Bennett being such a productive and many-faceted writer – it could have been twice as long. There could have been an essay on Bennett and the theatre, and one on his politics, and one on his journalism, and one on the books that are not realistic, but are what he called ‘Fantasias’; then there should definitely be an essay on Bennett’s treatment of his great theme, money… Obviously, John Shapcott needs to give us a second volume. This entry was written by George Simmers and posted on June 22, 2015 at 1:47 pm and filed under academic, novels with tags Arnold Bennett, John Shapcott, realism, Virginia Woolf. Bookmark the permalink. Follow any comments here with the RSS feed for this post. Post a comment or leave a trackback: Trackback URL. It’s heartening to see that there is an ongoing reevaluation of the Bennett and his works. He really does repay the time you put into his novels. Thank you for this review. I will definitely be buying a copy!